Below you can see the front view size comparison of Sony A7R II and Nikon D850. 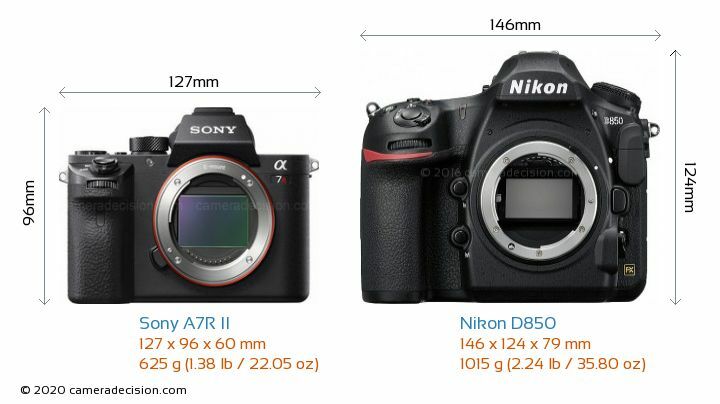 Sony A7R II is clearly the smaller of the two cameras. Its body is 19mm narrower, 28mm shorter and 19mm thinner than Nikon D850.